What Can You Do with a Liberal Arts Degree? Everything! Critical thinking. Intellectual exploration. Versatility. Who says you can’t have it all? Following your passions could be a great starting point to a life filled with possibilities. Double the Opportunity. Unlimited Possibilities. Not ready to commit to one major? You might consider taking a double major or adding a minor or two. Our advisors are here to help you navigate your choices and advise you on the pros and cons of whatever path you choose. Students need to complete at least one quarter at UC Davis and petition at least one quarter before graduation to declare a double major. Learn more by visiting our frequently asked questions - Advising. The UC Davis College of Letters and Science offers more than 110 majors and minors, making it easy for you to find a subject that sparks your passion and prepares you for success well beyond college. With the solid foundation of a liberal arts degree from UC Davis, you will graduate with world-class skills in research, communication and leadership, empowering you to adapt and thrive in any number of careers. Want to make the world a better place through science? Janine Klein's double major is designed for a career in conservation science. 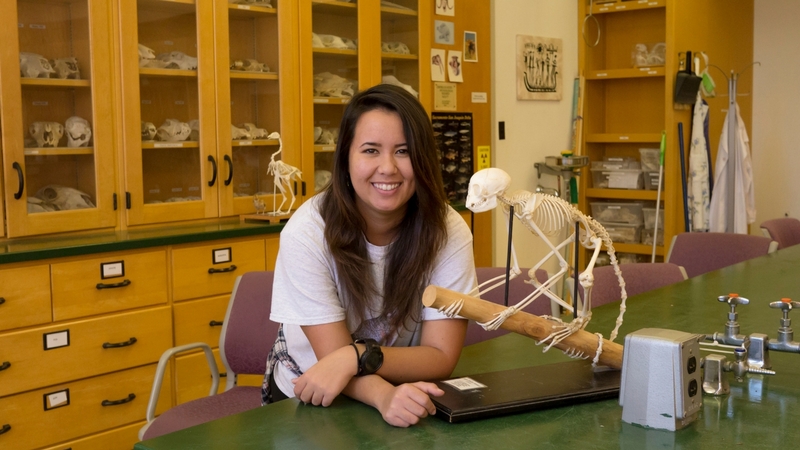 “If you want to help the environment, first you have to understand how humans interact with wildlife.” - Janine Klein ’18, Anthropology and Wildlife, Fish, and Conservation Biology. Read about how Janine made a double major work. Blog: What Can I Do with My Major? Check out the campus majors blog to read about the ins and outs of many of our majors and how alumni are putting their majors to work for them. Communicating in a second language is a vital skill for Hana Minsky, a global disease biology major with a Spanish minor. She plans to apply to medical school after graduation.